Prices range from £6 per head depending on each event's menu needs and requirements but we can give accurate quote info for each event after receiving details. 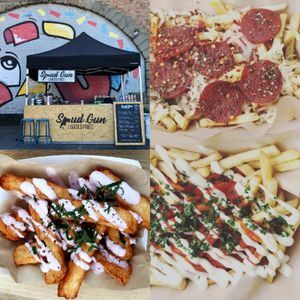 We're serious about the loaded fries game and seasoned street food veterans.Find us at street food events and markets across the North East and UK, bringing bangin' flavours and good vibes via street food. We're available for all your festivals, markets, weddings, christenings, birthdays, mitzvahs or anything really. 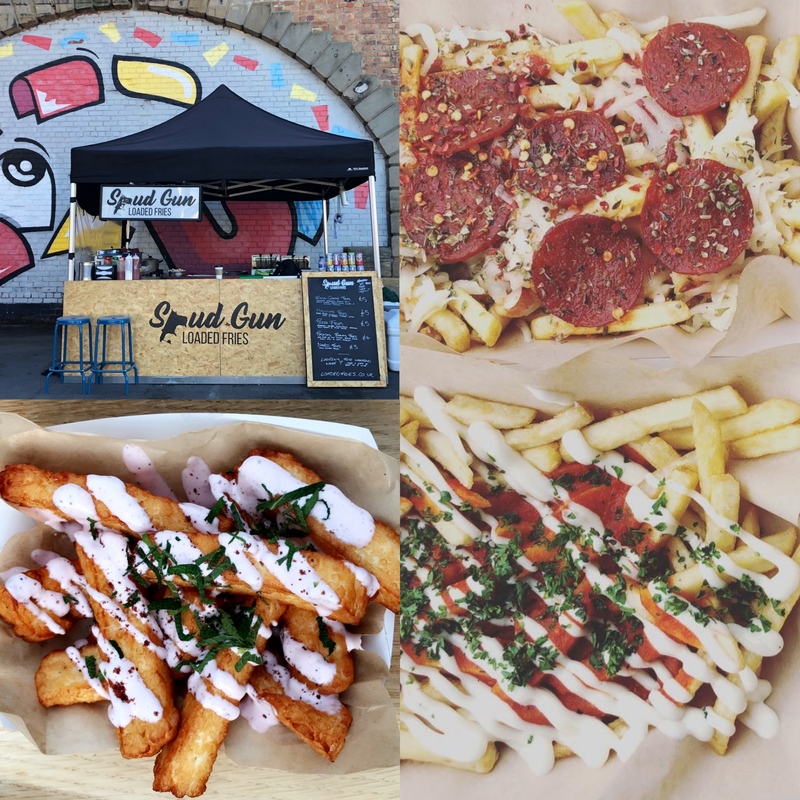 Drop us a line and amp up your event with Spud Gun Loaded Fries.